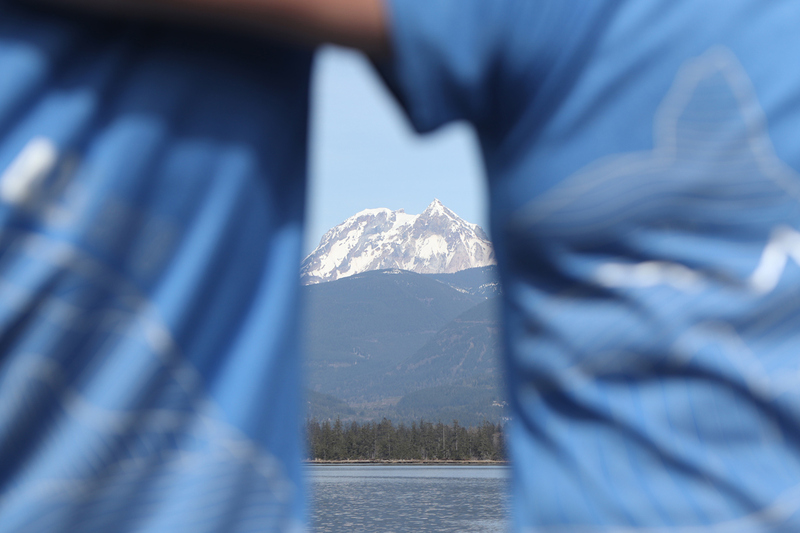 For locals and travellers to BC alike, nature is the magnet. 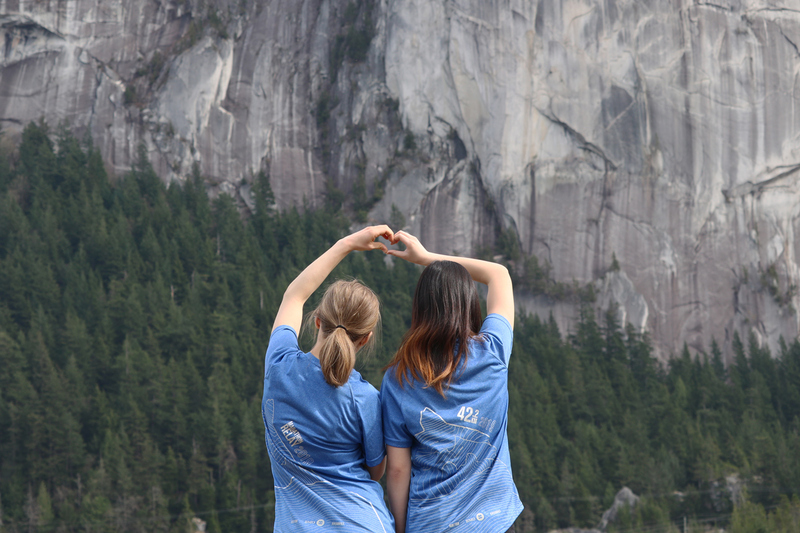 Nature has a transformative effect, whether that be restorative, re-setting perspective, or even spiritual. 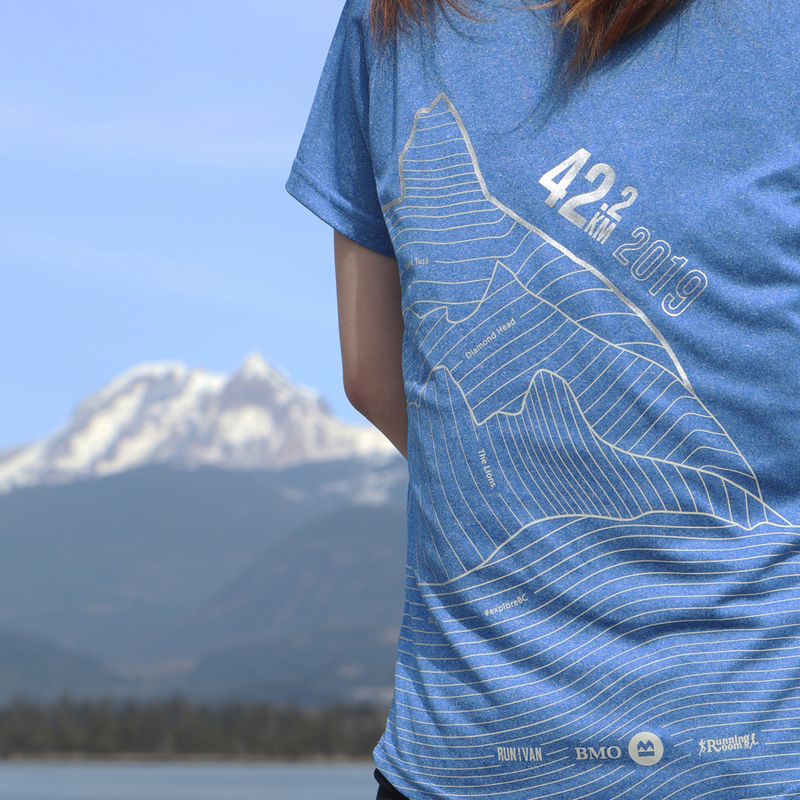 Four distinct mountain peaks help to represent super, natural British Columbia. 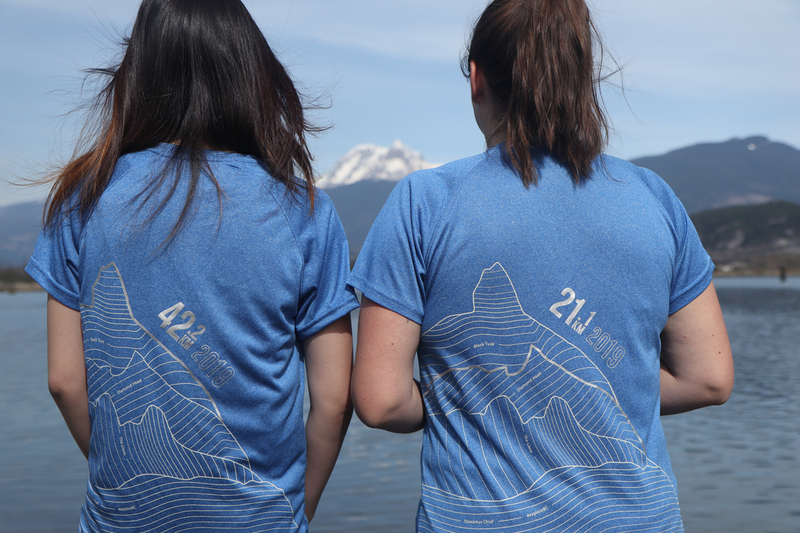 Marathon shirts will have their distance of 42.2KM and the Black Tusk highlighted in metallic print as it is the highest featured peak. 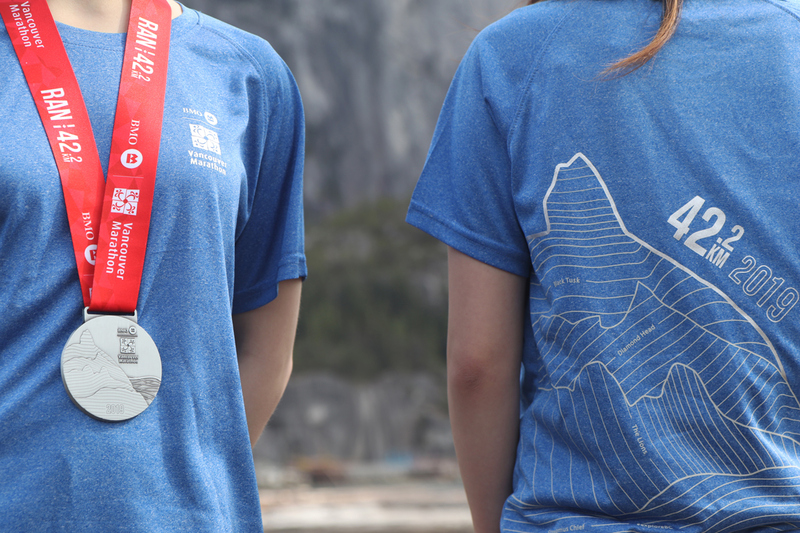 Half Marathon will feature Diamond Head, 8KM The Lions, and Stawamus Chief is featured on the Relay tech shirts with the subtle metallic touch. 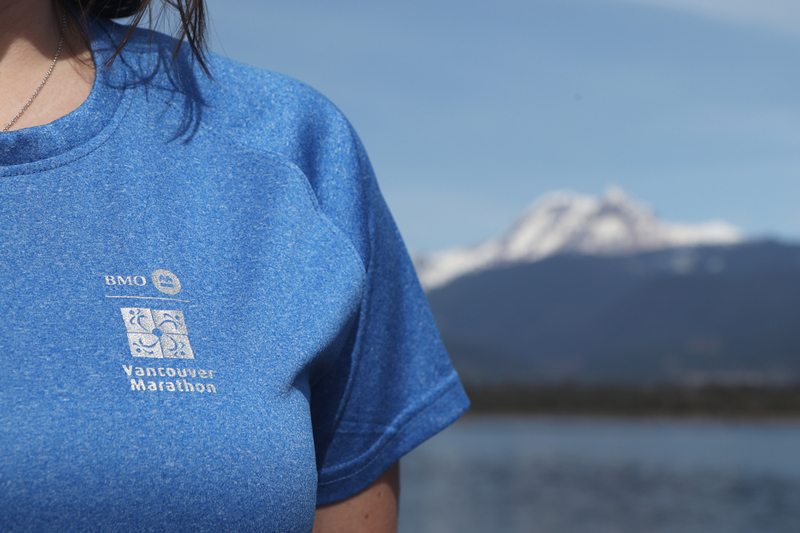 The BMO Vancouver Marathon is Canada’s most scenic Marathon event, and one of the top destination marathons anywhere in the world. 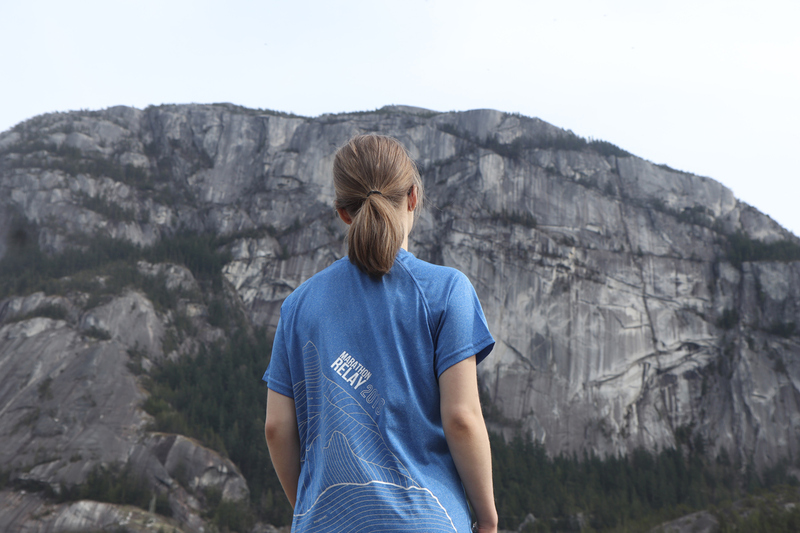 Tech shirts will be available for pickup prerace at the Expo for registered runners only! 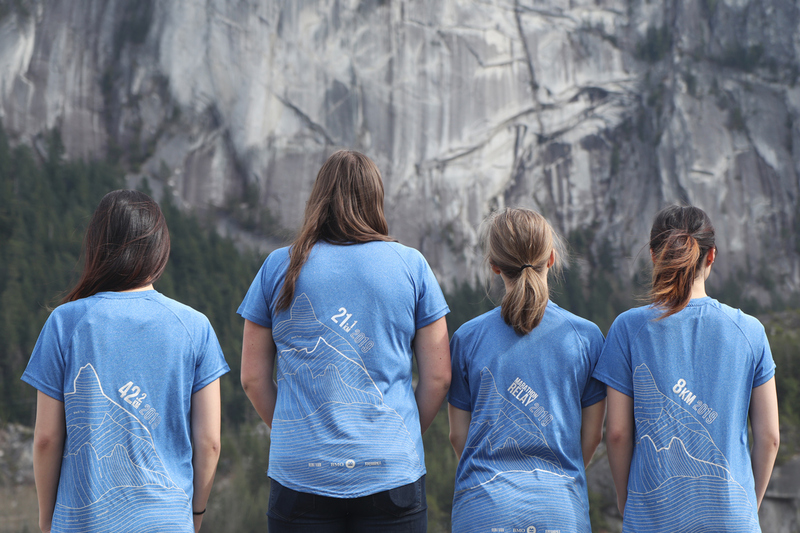 This is going to be one you want to add to your collection! 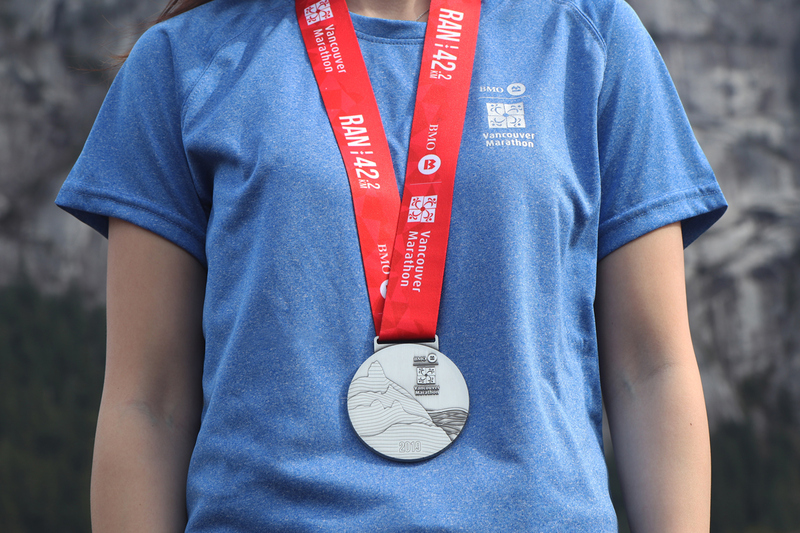 Check out the new BMO Vancouver Marathon 2019 medals!